If It's Hip, It's Here (Archives): A Monopoly Makeover By Artist and Designer Matthew Hollet. A Monopoly Makeover By Artist and Designer Matthew Hollet. 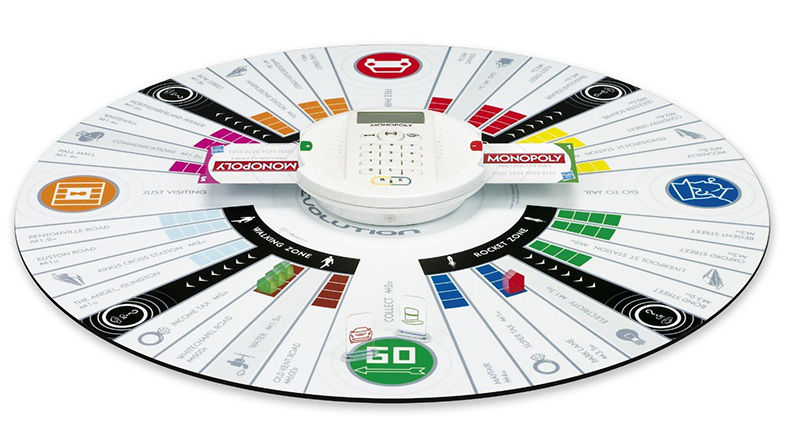 Unlike the modernization of the original MONOPOLY board game by Hasbro, MONOPOLY REVOLUTION, ONOPO is a conceptual re-imagining of the iconic American board game by visual artist and web designer Matthew Hollet. 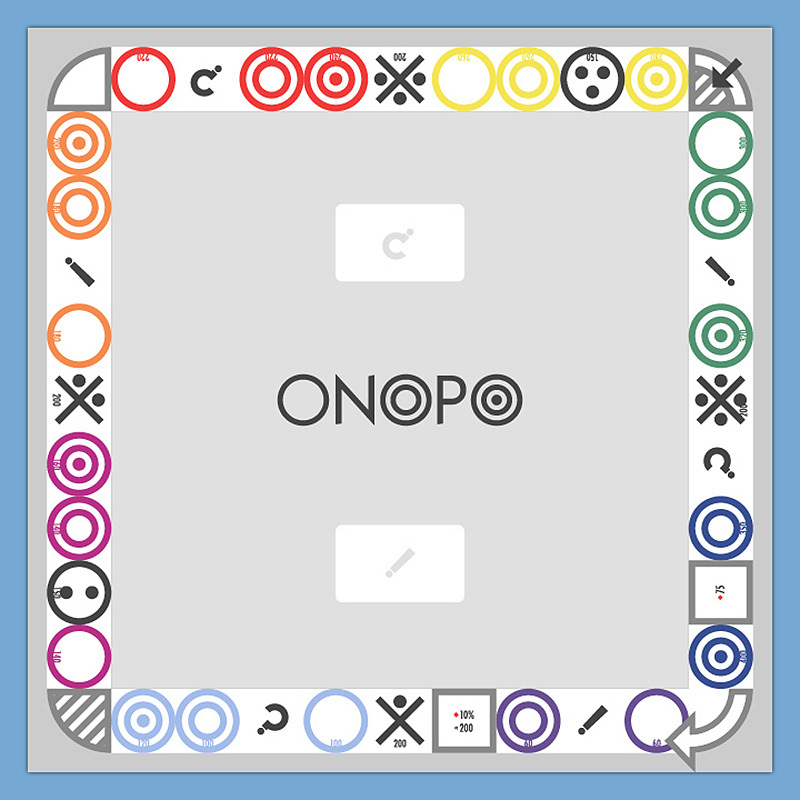 above: The ONOPO board. 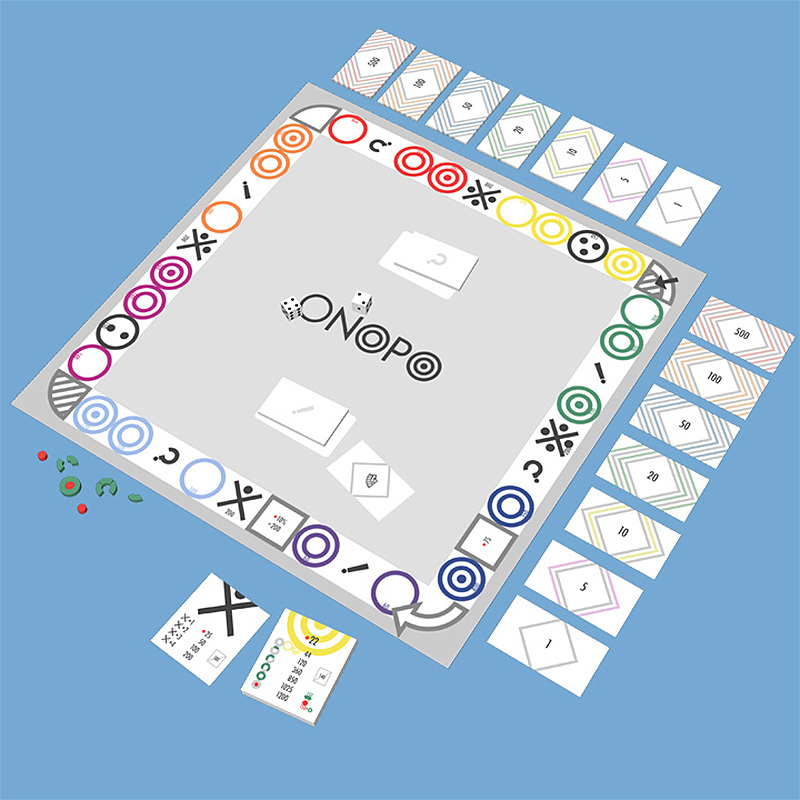 The visual echo between the three Os in the original game title and the groups of three spaces on the board inspired my design. The original game presented plenty of opportunity for distilling the design down to an iconographic system representing its basic mechanics. In an attempt to simplify and clarify the game system, he removed the thematic metaphors (such as place names) and other non-essential elements. 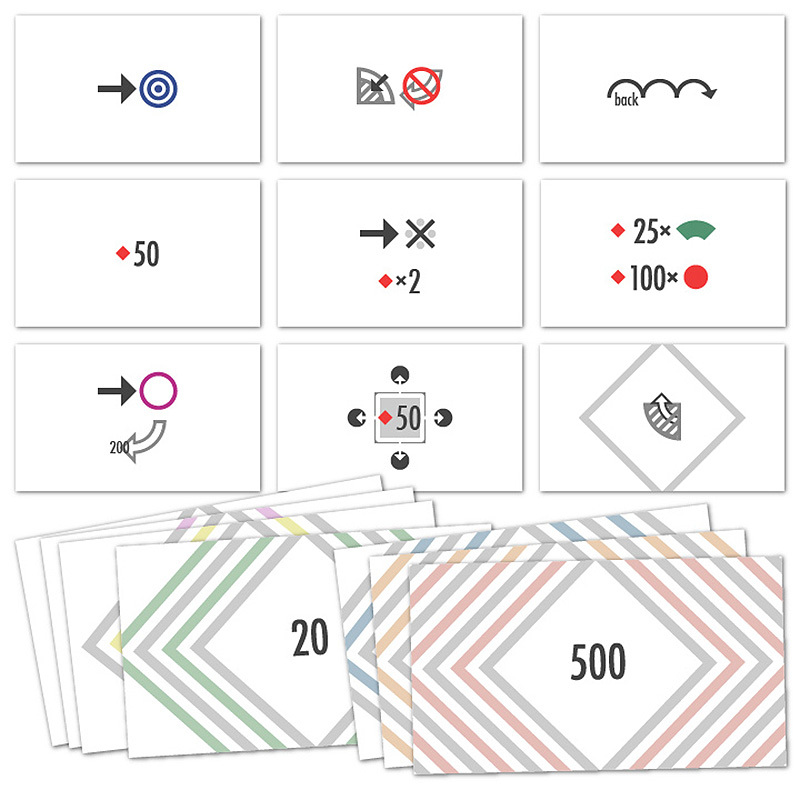 Inspired by abstract strategy games, he then designed a minimal iconographic system which uses as little language as possible. above: Property cards from ONOPO. All text on the original cards has been translated into an iconographic system. The symbols for different types of spaces were designed so that each of these cards would have a bisected circle centered at the top. Matt says "I enjoy designing and working with systems, and this project was an exercise in consistency and constraint." The name is partly a reduction of the original and partly an homage to Oulipo, the "workshop for potential literature." above: Instructional cards and bills from ONOPO. 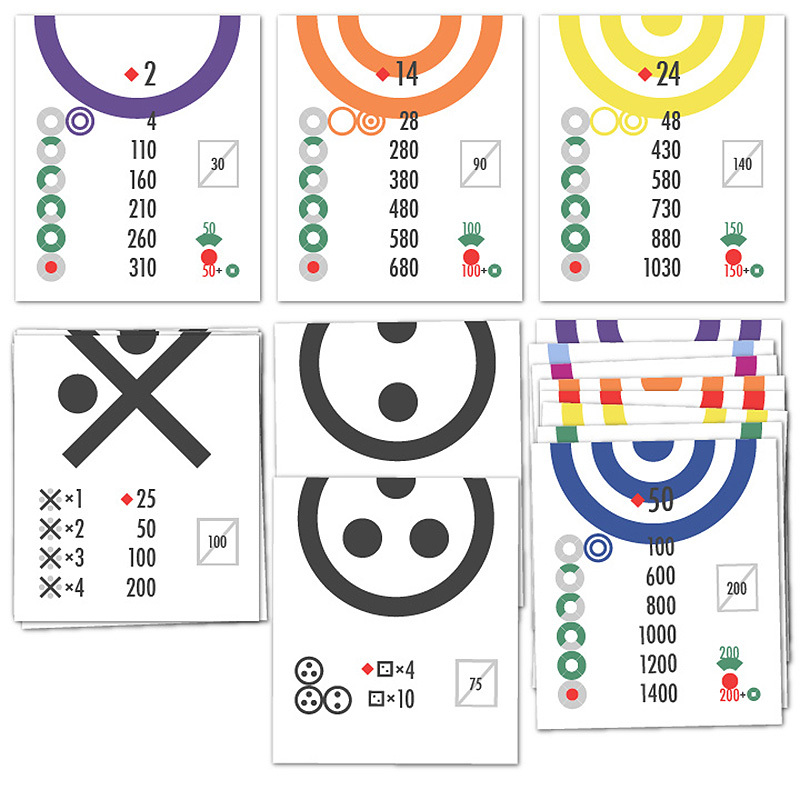 The instructional cards were the most challenging part of the game to translate visually for Matt. One constraint he gave himself was to using the same size board, cards and bills as the original. He thought of the project as a re-skinning of the game rather than a complete redesign. Leaving certain remnants of the original also makes the project easier to understand at a glance. For that same reason,he used mostly similar colours. I would buy this edition in a heartbeat.